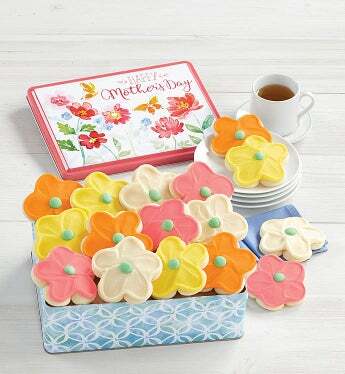 Send a pretty gift tin filled with our delicious buttercream frosted flower shaped cut-out cookies she will love! Each treat is individually wrapped and delivered perfectly in Cheryl's custom designed gift tin. OU D.